Food Allergies — What Could I Be Allergic To? Are you dealing with food allergies? We know how daunting it can be to deal with this situation as the effects can be quite embarrassing or potentially deadly. 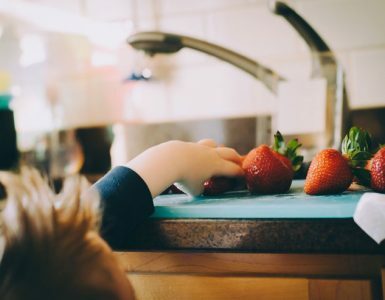 The thing is, there’s no cure for this problem, so the best advice for anyone with a food allergy is to consciously avoid the foods that trigger the reaction. For the most part, anyone with a food allergy can react to any food substance. 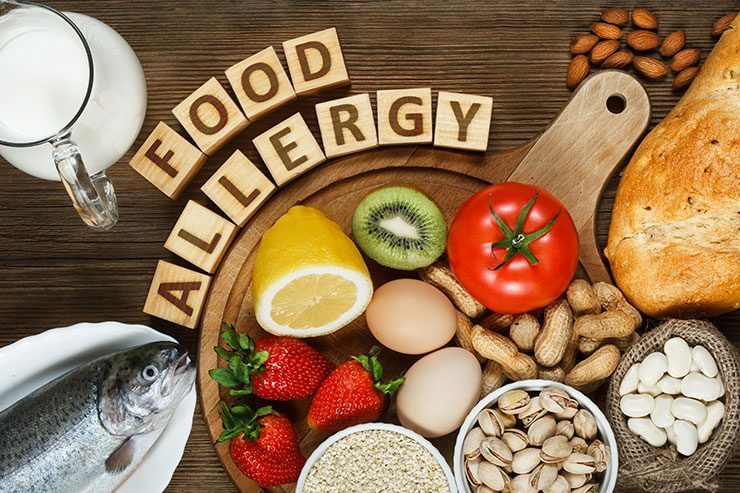 Some of the most common food allergies include tree nut allergy, peanut allergy, egg allergy, milk allergy, fish allergy, sesame allergy and soy allergy. The list goes on and on, there are even people who suffer from alcohol allergy and the like. As we know, the allergy epidemic is growing in the UK — the numbers of sufferers keep increasing by 5% each year. With quite a number of hospital admission allergies in England and cases of life-threatening anaphylactic shock, the epidemic is not something to be ignored. 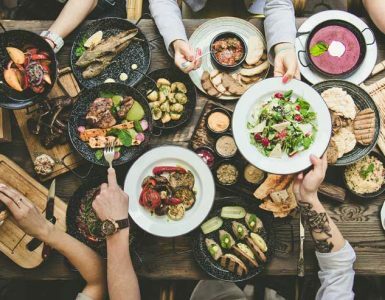 In response to this unfavourable trend, EU legislation now requires restaurants and supermarkets to highlight the top 14 allergens either on food menus or product labels. Crustaceans such as cray fish, crabs, prawns, etc. Food allergy is an immune system response to a particular food which eventually triggers an allergic reaction. Food allergy is a bit rare and typically causes symptoms minutes after eating the offending food. In this case, the immune system sees the food as an invader. Lactose intolerance comes as a result of the inability to digest milk sugar due to low levels of the enzyme lactase. For the most part, lactose is a type of sugar that’s primarily found in milk and dairy products. Most people tend to confuse lactose intolerance with milk allergy, but it’s important to note that it’s not an allergy. Note: Lactose intolerance may also cause nausea and constipation. Most people can manage lactose intolerance by limiting the amount of lactose in their diet. This means that some people including adults and children may not react to small amounts of lactose in foods. It’s important to note that lactose can serve as a prebiotic. This means that it can help feed healthy gut bacteria and enhance absorption of minerals — so it’s great to get a little lactose if you can. Gluten is typically known as an “antinutrient” and as such, is hard to digest for nearly all people regardless of whether they’re gluten intolerant or otherwise. For the most part, there has been a series of controversy over its existence as well as whether it’s triggered by gluten or some other protein found in wheat. Moreover, we’re still trying to figure out if the condition has a link to the immune system or just an intolerance. At the moment, gluten intolerances are extremely difficult to ascertain. The diagnosis is carried out by excluding wheat allergy and coeliac disease. One of the most common ways to find out if a person has gluten intolerance is an elimination diet. In other words, he or she will have to eliminate foods that contain gluten to see if the symptoms resolve. There will also be a reintroduction of gluten-containing foods to see if the symptoms reappear. It’s recommended for patients to see a specialist dietitian who can help them determine the appropriate dietary regime. For the most part, Histamine, as well as phenyl ethylamine and tyramine, are vasoactive chemicals that are naturally found in certain foods. Histamine is actually a chemical that’s associated with your immune system, digestive system, and central nervous system. It’s also a component of stomach acid that supports the breakdown of food in your stomach. Note: Symptoms are likely to occur thirty minutes or longer after coming in contact with or consuming the offending food. Moreover, the level of intolerance is not constant — it actually varies from individual to individual. After discovering the food allergy and other underlying causes, the surest way to determine if vasoactive amines are the culprits of histamine intolerance is to simply avoid them for about two to four weeks. It’s recommended to monitor symptoms, and you can do this by keeping a food and symptoms diary. Afterwards, you can start reintroducing the foods little by little, so you can see just how much can be tolerated. Determine the cause and avoid it if possible. Get a better idea of the symptoms of an allergic reaction by keeping a food diary. Try to learn or figure out what to do if it occurs again. Always carry your medication with you when eating out.